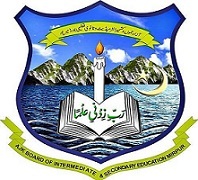 Mirpur, Board of Intermediate and secondary education Azad Jammu Kashmir has announced the AJK Hssc revised supplementary exams Date sheet 2018. Students who are appear in AJK Bise hssc exams can see new revised date of exams here. Hssc part 1 new paper will be on 14-11-2018 of computer sciences and chemistry. While hssc part II new paper will be on 16-11-2018 of Pakistan study.